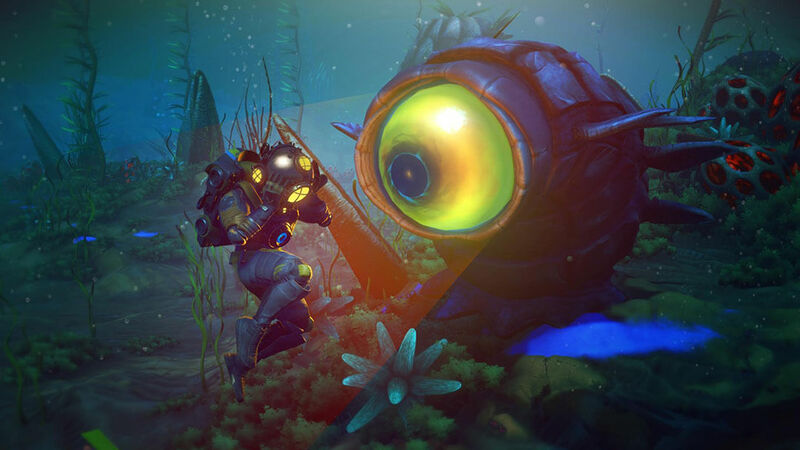 As reported last week, No Man’s Sky was going to reveal a new update this week called The Abyss. Hello Games gave us a little surprise and released it earlier today. Numbered at 1.7, this newest update isn’t a spooky update as we previously speculated but a full fledged addition to what is No Man’s Sky. The Abyss adds a lot of functionality to the oceans on planets that really bring the underwater to life (no pun intended). Check out this short list of what this new update has to offer. Check out the full list and details here and watch the video below to see what this update has to offer. It’s a surprisingly beefy update considering Next came out just a few months ago. And if the message from Hello Games is anything to go by there is plenty more to come for No Man’s Sky. As with all updates for the game, The Abyss is also free. What do you think of the new update? Do you like the new additions to the game?